Born into a Holiness minister’s home in 1984, Angela accepted Christ as Savior early in life and answered God’s call to be a missionary at age four. Angela found her place of ministry in Lesotho and Southern Africa during a mission internship in 2014. She arrived in Lesotho in May of 2018. While Angela is studying the Sesotho language to enable her to be more effective in ministry, she is maintaining a full ministry schedule. She is using her gifts of nursing, teaching, and child evangelism to help the national churches make disciples in Lesotho and South Africa. 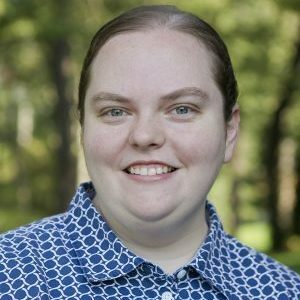 Angela graduated from Wesleyan Holiness Bible College in 2006 with an Associate of Arts in Christian Ministry focusing in missions. She went on to graduate in 2010 from Somerset Community College in Somerset, Kentucky, earning an Associate of Applied Science in Nursing. After working as a Registered Nurse for two years, Angela felt God leading her to Penn View Bible Institute where she graduated with an Advanced Diploma in Missionary Nursing in 2014 and studied extensively in the Child Evangelism division. In 2017, she graduated from Columbia International University with a Master of Education degree majoring in both Instruction & Learning and Educational Administration. Angela has been involved in a variety of ministries through the years including teaching Sunday school for all ages, ministering musically in church, leading Vacation Bible Schools, serving as children’s worker at summer camps, teaching in junior churches, and working in bus ministries. Angela is working with the Sunday school teachers to help them be more effective in their ministry to children who make up more than 1/3 of the population of Lesotho. In addition to visiting local congregations to provide support to the teachers, Angela is helping Stephanie Gault lead a series of Sunday school seminars throughout the year. She also teaches English and the Bible at a local preschool one day each week. In January of 2019, Angela started teaching children in an after-school Bible club in Ladybrand, South Africa. Several national church ladies are receiving hands-on training to assume more responsibility with this ministry in the future. Angela’s deep passion for ministering as a nurse with a Christian worldview has opened many opportunities for her to touch lives at HIM’s clinic in Lesotho: Matukeng Health Centre. While she assists the nurses in a variety of ways in the Under 5 immunization program and Antiretroviral Treatment program for HIV positive patients, Angela’s main role is assisting the nurse midwives in delivering the increasing numbers of babies delivered at the clinic. She is privileged to be a spiritual support to the staff and to minister to the spiritual needs of many of the patients. Angela feels blessed to be a part of the HIM Africa team as she REACHES out to the people of Southern Africa in Helping Others Prepare for Eternity.